According to the WHO, 3.8 billion people lack access to essential health services. For 100 million people worldwide, the cost of health care pushes them below the extreme poverty line, forcing them to survive on less than $1.90 a day. 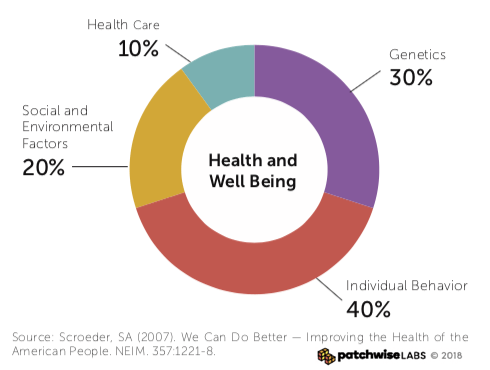 The specifics of how to best implement all the elements of a proper health care structure remains a divisive issue, and it’s undebatable that too many systems worldwide are struggling due to access, cost, or both. Various influences on one’s health in the United States. The United States spends around $3 trillion, or 20% of its GDP on healthcare each year. Despite the massive spending, health outcomes are middling, and countless Americans are financially crippled due to medical expenses. Finance clearly plays a central role in healthcare. In the developing world, it is the barrier to receiving basic care. In the developed world, it dictates your ability to afford medications and access the latest breakthroughs. For researchers, it is the lifeblood to run carefully controlled experiments. However, money itself is not the silver bullet to healthcare’s problems. 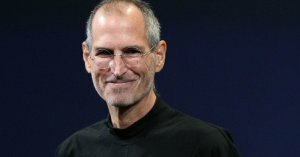 When Steve Jobs was diagnosed with pancreatic cancer, he had the world’s best researchers and physicians at his disposal. Despite his $100,000 genomic screenings of his tumors and carefully tailored medical regimens, he and his team were ultimately unable to defeat the disease. Steve Jobs spent $100,000 to get his tumors genetically sequenced to try to find the optimized treatment plan. Ever the pioneer, however, even in his fight against cancer, Steve Jobs helped champion a new movement, personalized medicine. According to the NIH, personalized medicine is a form of medicine that uses information about a person’s genes, proteins, and environment to prevent, diagnose, and treat disease. Essentially, the idea is that the more information we have overall and for each person, the better the probability of an effective outcome. While some people already meticulously analyze and record every possible metric, through devices like Oura rings and Fitbits, and expensive genetic testing, even those less health-conscious generate useful data to researchers. Now companies like the Swiss-based HIT Foundation (Health Information Traceability), want to use that data to improve access to care, lower health care costs and empower patients by tokenizing health data on the NEM blockchain. In this exchange, patients willing to digitize their health information would be compensated for allowing researchers to access their anonymized health data. In developing countries with high levels of poverty, the tokenization of health data could act as a form of universal basic income. 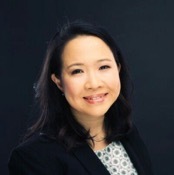 Elizabeth Chee, COO of HIT Foundation, envisions a future where governments could provide “payments” to its citizens in exchange for individual health data. In this scenario, both parties benefit as the government and its researchers receive valuable health information on its citizens while people receive the health care they otherwise could not afford by simply sharing their health data. Digitizing health information then making it publically available in an anonymized format can lower health care costs in several ways. The first and the most obvious way is the compensation people will receive for selling their personal data to interested parties. However, this will also have the beneficial secondary effect of incentivizing patients to aggregate and control their own data [note: blockchain is an inefficient database, so HIT’s NEM blockchain will only contain a user’s public key; it will be up to the user to store their private data]. Tokenization of data encourages and enables seniors to become part of the digital health network and help them be more engaged and learn more about their health through their own data. As medicine is ultimately a partnership between the patient and their providers, having a more informed and engaged patient can lead to better outcomes. Also, by having each patient in control of their complete medical data, instead of having it scattered through multiple health systems and electronic medical record databases, providers can quickly and reliably learn valuable information about the patient from a central source. This can reduce the number of medical errors such as inaccurate documentation of medication interactions, which still are a major cause of death. 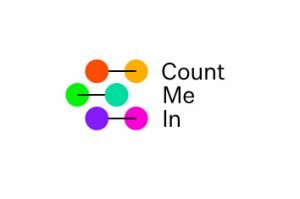 Count Me In is partnered with the Emerson Collective – the research company of Steve Job’s widow, Laurene Powell Jobs – to share cancer research. A second way tokenization can reduce health care costs is through an increase of health information and personalization. The more information researchers and physicians have of each disease and individual, the better they can battle the disease. While this exists for those with cancer at a small scale (5,500 people so far, with a goal of 100,000 in the next few years), the objective is this type of collaboration – but at a global level. Not only would researchers have access to an explosion of more information, but our collective understanding of diseases and well-being would significantly expand. Then, instead of scheduling multiple doctor visits, trying and failing with different medications, in fewer but more focused appointments, you and your doctor could hone in on the best treatment plan based on your individual biometrics and genetics. The idea of tokenizing health data is an exciting idea with the potential to combat poverty, better treat diseases and lower the costs of health care. However, is it the best method to achieve its goals? On the one hand, HIT’s tokenization model gives a patient’s health data real tangible monetary value. However, if the goal of tokenization is to improve collaboration, and all researchers should have access to the data, the question then becomes who is responsible for paying for that patient data? And if researchers only get access to what they pay for, is that a fragmented system we want to participate in? The post Health Data Tokenization: A Possible Remedy for a Broken System appeared first on CryptoSlate.